Xiaomi who were rumoured to launch the Redmi Note device for India in December have pre-poned their release and made it November 25th that too exclusively through Flipkart with either invite system or Flash Sale.Xiaomi has sent out invites for a launch event for the Redmi Note device in India which is going to be held on 24th November and accordingly the device will be up for sale on 25th November one day after the event. And coming to the pricing of the device it is not yet confirmed as nothing was mentioned in the invite sent out for the event as mentioned by phoneradar.com, but previously it was mentioned by Xiaomi that the Redmi Note will be priced at Rs. 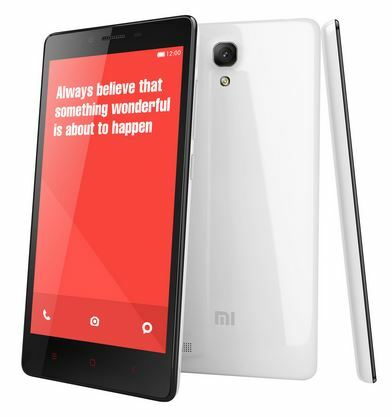 9,999 in India and looking at the previous launches of the Xiaomi Mi3 and Redmi 1S where the company has decreased Rs. 1000 on each device just before the lauch it will not be a surprise if the price will be set at Rs. 8,999 on 25th November. If you look at the features of the device it has an amazing 5.5 inch HD display which is at par with many high end and highly priced Phablets in the market at the moment. The phablet is powered by a Mediatek MT6592 Octa-Core processor and Mali-450MP4 GPU which is supported by 2GB of RAM. It comes with a 13MP Primary or Rear camera and 5MP front facing camera with the rear camera having Full HD video recording facility. The device comes with 8GB of internal storage capacity which is sort of low and expandable using microSD card support for expansion. the pricing as we already mentioned is Rs. 9,999 as of now and might be lowered to Rs. 8,999 as we have seen with the previous two launches from Xiaomi. So be ready to pounce on the opportunity to get your hands on the Xiaomi Redmi Note which will be on Sale on November 25th in Flipkart.